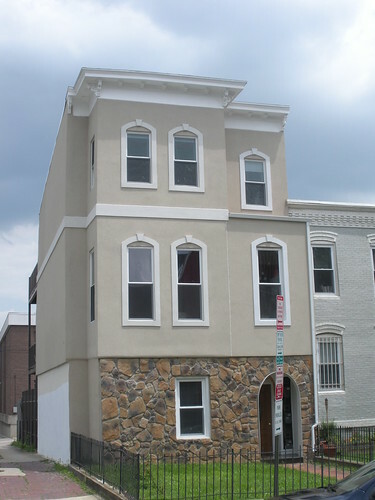 This one is located on 11th Street where the street curves a bit North of Logan Circle (anyone know the cross street?). I actually think the house looks pretty good though I’m not a big fan of the stone on the first level. But I think it blends in pretty well even though it’s a bit larger than the other homes. What do you think – thumbs up or down?